Milk Thistle (Silybum marianum) helps support and regenerate the liver. It can be used to enhance detoxification of hormones, recreational and pharmaceutical drugs, alcohol, endogenous toxins, and heavy metals. Milk thistle is the most widely recognized natural remedy for liver health and support. It has been shown in scientific studies to not only protect liver cells, but also to help regenerate healthy ones. Milk Thistle blocks toxins from entering the liver, helps remove toxins from the liver and regenerates liver cells. Research shows that Natural Milk Thistle helps your liver sweep out toxins and fight off the damage of free radicals. 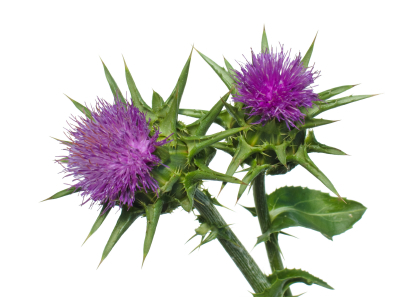 Milk thistle works to prevent liver damage by inhibiting the formation of free radicals. Free radicals have been shown to damage cells, which can result in immune problems, cancer, cardiovascular disease, and many other conditions. Milk thistle can be used by individuals who have poor liver function or liver disease. It can also be beneficial for skin conditions such as psoriasis, eczema, and acne. It has been commonly used as a short or long term treatment for liver disease such as hepatitis, cirrhosis, or jaundice. Simply put, no. 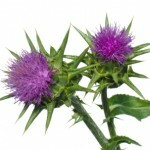 Milk Thistle is a fantastic ingredient and a very important component in any detox program. To get a complete body detox however, more is needed. That’s why we stand behind Transfer-Tox™, an all-in-one body detox that supports liver, kidneys, and heavy metal detoxification. When you take Transfer-Tox™ you are getting the full benefits of Milk Thistle as well as an herbal blend of 7 ingredients, plus a blend of powerful enzymes, and our Live Enzyme Activated Delivery System® (L.E.A.D.S.®). L.E.A.D.S.® guarantees assimilation and utilization of the nutrients at the cellular level. The best choice for your liver and kidney health is Transfer-Tox™.